Welcome to my health coach page! Let me share a little of my story that led me to become a Master Certified Health Coach, and why I would love to help you reach your health and wellness goals. In 2006, I was a struggling college senior. Not struggling with my classes, but struggling with my health. I was lactose intolerant and then diagnosed with IBS (Irritable Bowel Syndrome). I spent many nights canceling get-togethers because I was curled up on the bathroom floor in pain. When I was diagnosed with IBS, there weren’t any prescription drugs to mask the symptoms. I had to research how food affected my body by learning what made my stomach issues better or worse. I also began to exercise regularly. Within a year, I had lost 35 pounds. I was really good about eating and exercising until I got married and moved almost an hour away from my job. I had stopped exercising regularly and tried to control my weight by controlling what I ate. I ended up feeling deprived and started gaining weight. 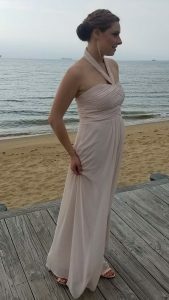 After the birth of our second child in 2014, I struggled to get back down to my pre-baby weight. I was overwhelmed being a working mother of two children. I was exhausted and I grabbed any food or drink I could find that would provide some boost of energy or relieve my stress. As my daughter’s second birthday neared, I realized my choices had gotten out of hand. I was reaching my highest weight I’d ever been. I was unhappy. I was stressed. I didn’t like the feel of my body. None of my clothes fit me anymore. I had no energy. I had no desire to play with my kids. I felt sluggish. I began to be mad at the world, and very little made me happy. I made a choice to change. I realized I was responsible for my choices and how my body felt. I took charge of myself. 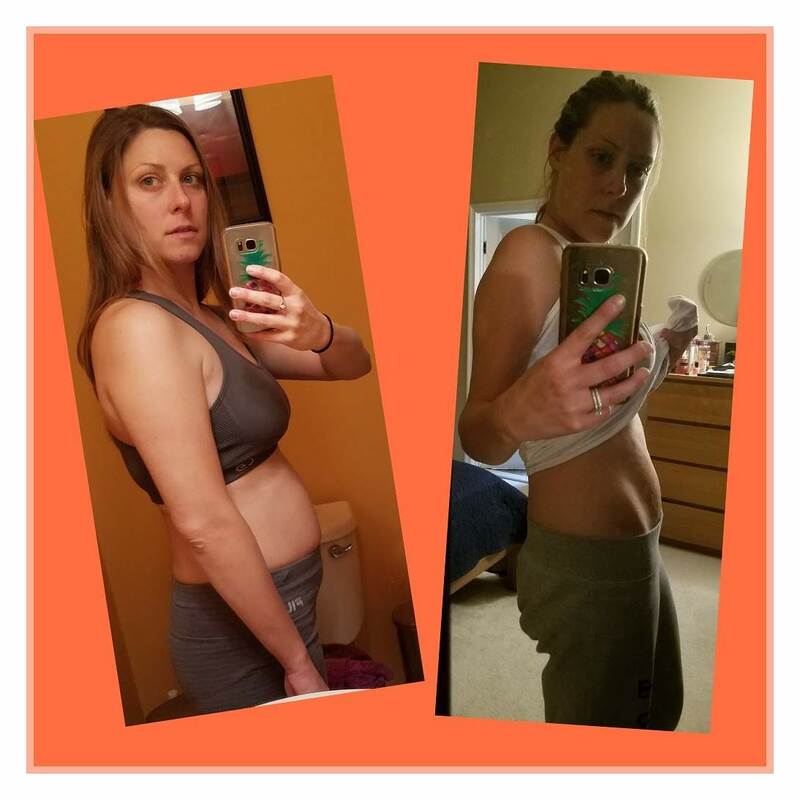 I was able to drop two pant sizes by eating nutritious foods and scheduling in “Me Time” (exercising and other things that help me de-stress). I started feeling more energized and noticed how great my body looked and felt. I know from my own experiences that changing diet and lifestyle habits can incredibly improve our health. IBS cannot be cured. You learn to live with it. Unlike a lot of people with illness, I also learned to manage it. As a health coach, I love to help others start to feel more love and joy in their lives as well. During, and after, the presidential election I was so tired of seeing everyone’s negative memes and posts and rants about politics. There was nothing happy on my news feed anymore, and I realized it was bringing me down. I wanted to counter this explosion of hate and intolerance. I began posting one positive thought each morning. I wanted positivity to be the first thing people saw every morning to set their mood for the day ahead. It was a huge hit! I saw how sharing and thinking positively was contagious, and people loved that extra boost. Life is a gift. And while we are quick to realize it never seems long enough to do all that we want, we must also realize that it is too short not to live it with joy. Seeing how my health and the health of my family have improved through my educating and positivity, I decided I wanted to help other people achieve the same thing. I want to educate people on healthier eating and motivate them to reach their wellness goals. I wish everyone to have optimal health and feel their best every day. I graduated from Dr. Sears Wellness Institute and have been on my mission ever since. I believe we can solve a lot of our health and wellness issues without hiding behind prescription drugs. I believe that proper nutrition, physical movement, a positive mindset, stress management, and lifestyle choices can lead us to a happier and healthier life. Let’s restore yours! but rather will cure and prevent disease with NUTRITION. Marie received her Master Health Coach Certification from the Dr. Sears Wellness Institute, founded by world-renowned physician and author, Dr. William Sears.The Institute is a leader in science-based health and wellness education that focuses on the four pillars of health; Lifestyle, Exercise, Attitude and Nutrition (L.E.A.N.). A certification by the Dr. Sears Wellness Institute is obtained only after completing the extensive course work and meeting all requirements. Once certified, a Health Coach possess the knowledge, tools and resources to make a positive difference in the health of others.